It's called "Colourfix" for the obvious reason. This very permanent, lightfast coated paper withstands all manner of artistic experimentation (and even punishment). These papers are used successfully in practically all media — pastels, charcoal, pencil, oils, acrylic, gouache, inks, silverpoint, and even watercolor. The natural toothy surface is ideal for pastels, pencil, or charcoal, as it will hold multiple overlays of color without the need to fix between layers. The unique, fine tooth surface is produced by screen printing Art Spectrum Colourfix Primer onto a heavy weight Hot Press watercolor paper. 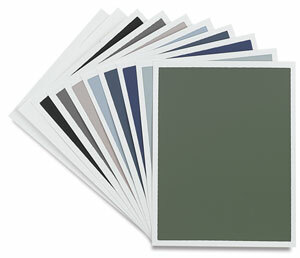 Available in packs of 10 and 20, 9" × 12" (229 mm × 305 mm) sheets. 140 lb (300 gsm). Rainbow Pack — Includes all 20 colors in the Colourfix line in a 9" × 12" (229 mm × 305 mm) sheet pack. 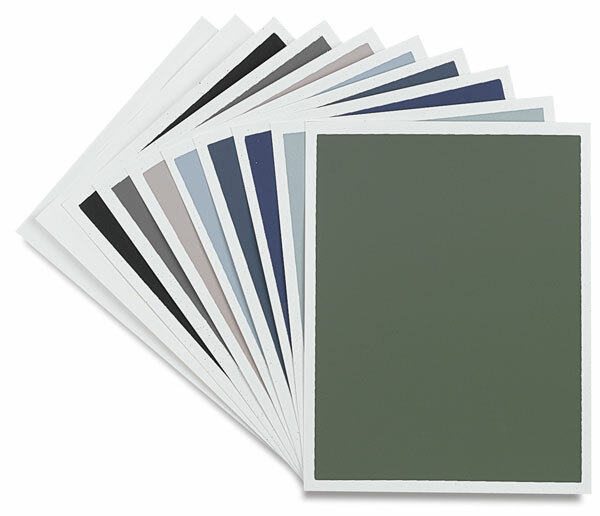 Cool Tones Pack — Includes the following 10 cool tones in a 9" × 12" (229 mm × 305 mm) sheet pack: Blue Haze, Deep Black, Deep Ultra, Elephant, Fresh Gray, Leaf Green Dark, Natural, Rose Gray, Storm Blue, and White. Warm Tones Pack — Includes the following 10 warm tones in a 9" × 12" (229 mm × 305 mm) sheet pack: Aubergine, Australian Gray, Burgundy, Burnt Umber, Olive Green, Raw Sienna, Rich Beige, Sand, Soft Umber, and Terra Cotta.